Jenny has over 25 years’ experience in leading and managing teams. As a previous Director for HR and customer services in both membership and not for profit organisations, she is experienced in working at both strategic and operational levels with limited resources. She understands the tensions between stakeholder groups and the not for profit objectives against and the need to generate income through commercial activities to remain sustainable. 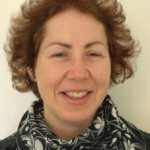 Jenny brings expertise in recruitment for executive and non-executive board members, as well as developing organisations’ capabilities and capacity through people and technology. Engaging and collaborating with leaders, managers and teams across organisations to help encourage culture changes. A review and redesign of sub-contractor arrangements and agreements.